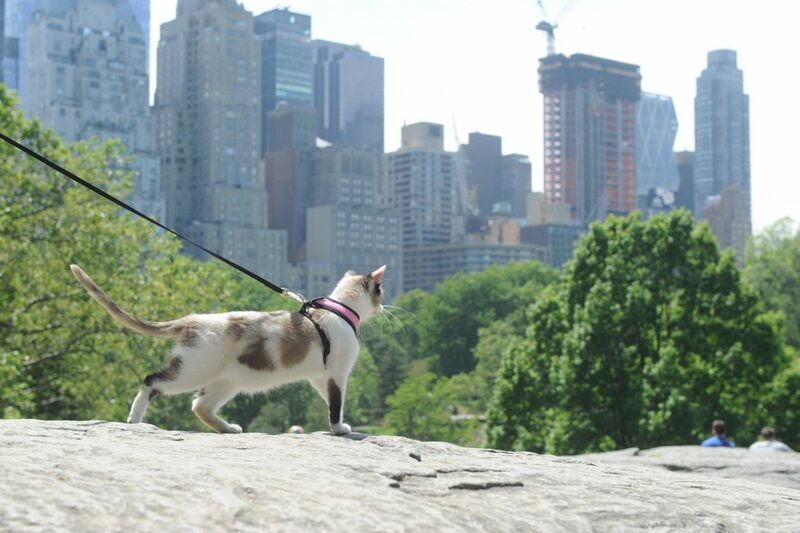 What better place for a 'catventure' than Cat Rock in Central Park? 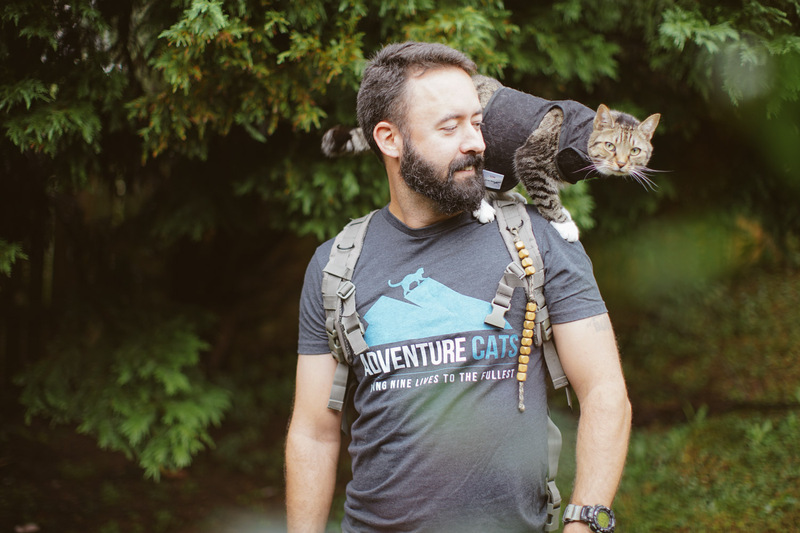 The third annual “Take Your Cat on an Adventure” Day is nearly here, and we’d love for you to join us as we adventure with our feline friends — both indoors and out. 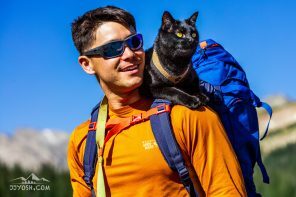 Share photos of your kitty’s outdoor and indoor adventures on Instagram on Fri., June 15, for a chance to win a variety of prizes, including Adventure Cats T-shirts, scout books and stickers as well as signed copies of the Adventures Cat book. Allowing your cat to have safe outdoor experiences is a great way to enrich your kitty’s life and let him exercise his natural instincts. However, there are a few things you should know before you head out the door — especially if this is your cat’s first time donning a leash and harness. First, not all kitties are the outdoor-adventuring sort. 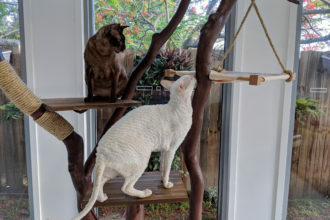 Some cats will never be comfortable in the unpredictable environment of the great outdoors, and others are “purrfectly” happy staying inside and simply watching the outside world from the window. 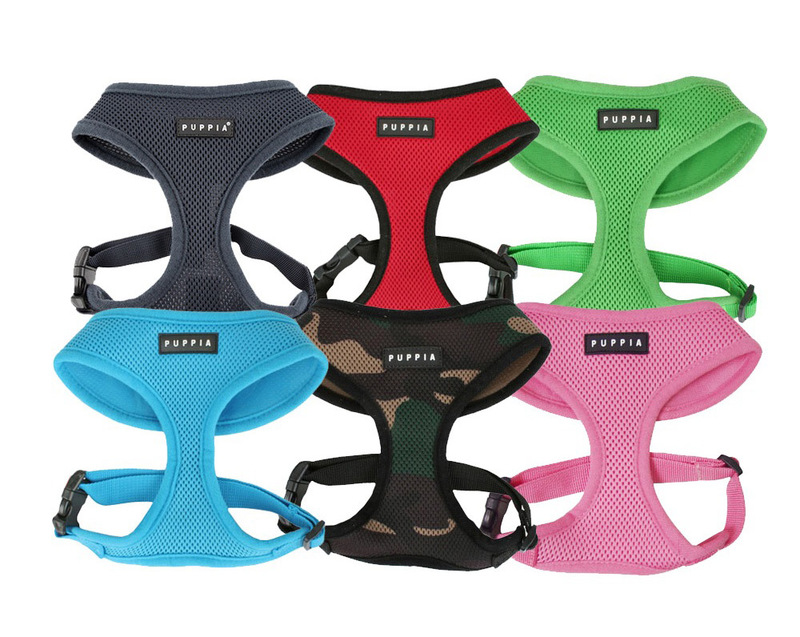 If you think your cat may enjoy a little adventure in his life, the first step is getting him used to a harness. It can take time for cats to adapt to new things, so take it slow and make sure to reward your cat with treats throughout the process. Practice with the leash indoors before going outside, and when it’s time to venture out, always carry your leashed cat out the door to discourage door dashing in the future. Start in an empty, quiet place like the backyard and keep those adventures close to home for now. Before you take your cat outside, make sure you can answer “yes” to the following questions. 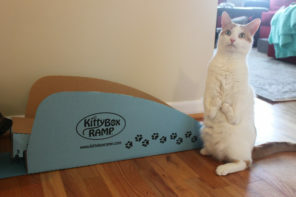 Has your cat had a recent veterinary checkup and been given the go ahead to venture outdoors? Is your cat up to date on vaccinations and flea, tick and heartworm medication? Is your cat microchipped and have a collar and ID tags? 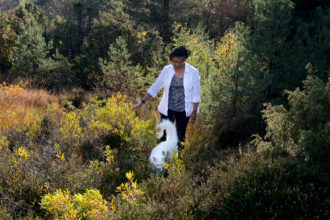 Is your kitty not the outdoor-adventuring type? That’s OK! 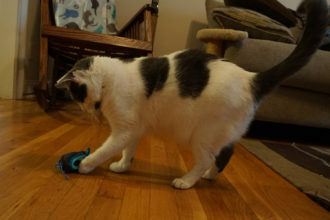 While some cats will easily take to a leash and love going on walks, some cats may never be comfortable with leash walking due to age, personality or lifestyle. And some cats simply have no interest in leaving the comforts of the indoors. 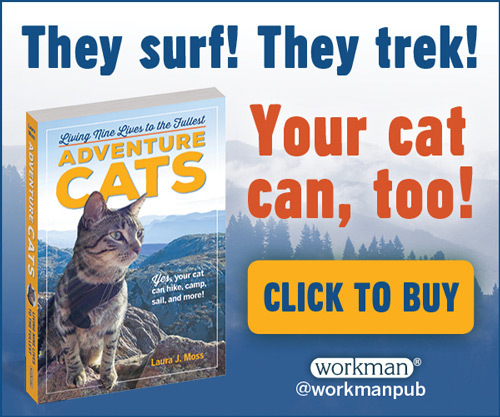 But that doesn’t mean your kitty can’t adventure. 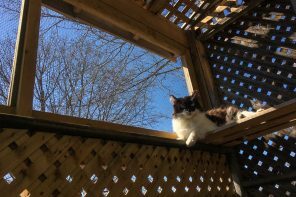 Consider constructing a catio where your feline friend can safely enjoy the sights, scents and sounds of nature. And there are numerous ways you can enrich your indoor kitty’s life with interactive toys, puzzle feeders, hidey boxes and clicker training. Learn more about how you can bring the adventure inside.